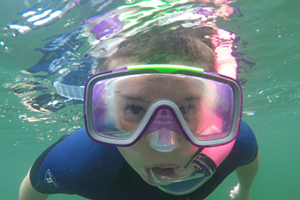 Bailey's Back | The Kids Beat | Kids VT - small people, big ideas! Ready for a tail, er, tale, of trouble at the museum? South Burlington cartoonist Harry Bliss reanimates his pooch protagonist, Bailey, for a second book, the newly released Bailey at the Museum. During a class trip, Bailey befriends a museum guard, probably due to his gnawing interest in the T-rex skeleton. Bailey's not afraid to show slurpy affection or nap in a teepee. But it's the tongue-in-cheek humor that'll keep readers coming back for more. Bliss' text plays straight man to Bailey's wryly humorous thought bubbles, making it a book parents will enjoy as much as the kids. Bliss has illustrated and coauthored several children's books including Diary of a Worm and Countdown to Kindergarten in addition to the first installment in the Bailey series. His comic strip for adults appears weekly in Seven Days. 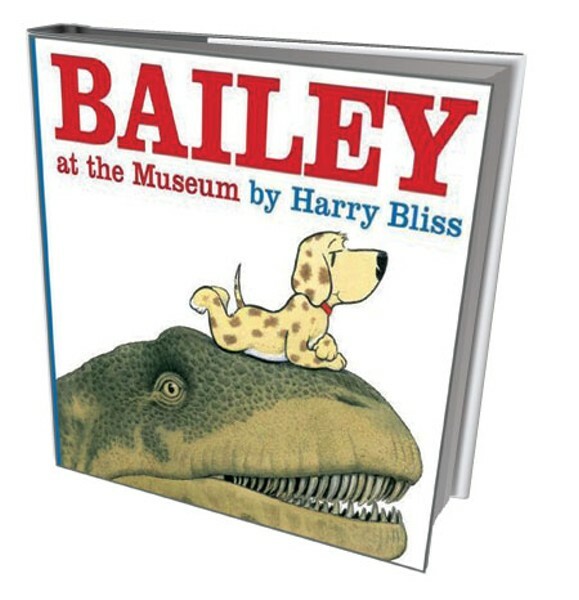 "Bailey at the Museum" By Harry Bliss, available in September 2012. Scholastic Press, 32 pages, $16.99, ages 3 and up.